It’s opening week in the major leagues, and that means it’s time to catch up on what’s been happening in baseball over this very odd offseason — and time to look forward to the season ahead. To do that, we’ve enlisted the help of our preseason forecasting model (publishing Wednesday), which assesses every team and offers a projection for their 2018 campaign. I’ve also gone through and highlighted the most interesting teams and players to watch during the year, as well as the ones about which we just don’t have any clue. (¯\_(ツ)_/¯) Play ball! Team to beat: New York Yankees. Our simulations show the AL East as the tightest division battle of the 2018 season, but we’re giving the Yankees a slight advantage over the Boston Red Sox here. While both teams used the winter to put more distance between themselves and the rest of the division — New York added Giancarlo Stanton and Boston signed J.D. Martinez — the Yankees still appear to have the edge in bullpen depth and marquee talent. (And don’t forget about their impressive farm pipeline; touted infield prospect Gleyber Torres could make an impact before the season is done.) That said, we also give Boston a 61 percent chance of making the playoffs, so this renewed rivalry might well extend into October either way. Team ¯\_(ツ)_/¯: Tampa Bay Rays. The Rays have had a pattern of up-and-down seasons in recent years, and the projections don’t quite know what to do with them this year, either. If you ask PECOTA, Tampa could potentially factor into the playoff mix; if you ask the Las Vegas books, it might sink down into the basement of the East. Our model basically splits the difference and calls for the Rays to post 78 wins. Rebuild alert: Baltimore Orioles. Going into the spring, O’s GM Dan Duquette scoffed at the notion of rebuilding. But he may have no choice with Adam Jones, Manny Machado and Zach Britton all up for free agency after the season. If the Orioles falter early — and our projections don’t see much hope for them this year — Baltimore could be due for a fire sale. Player to watch: Mookie Betts, Red Sox. Two seasons ago, Betts was the American League’s most valuable player not named after a freshwater fish, but last year his production was down amid a power outage and a 54-point drop in batting average. The difference between an MVP-caliber Betts and a merely pretty-good version might be the margin in this division race; Boston fans should be encouraged by Betts’s strong finish last September and outstanding numbers this spring. Biggest enigma: Aaron Judge, Yankees. Judge’s roller-coaster 2017 season was remarkable enough on its own. But add his terrible debut season in 2016, and it becomes almost impossible to predict how Judge will perform in 2018. The projections that FanGraphs lists are all over the map, from 3.8 wins above replacement on the low side to 6.2 WAR on the upper end. (And remember, he had 8.2 last year.) Judge could be great again, or he could just be good — we really have no idea yet. Team to beat: Cleveland Indians. 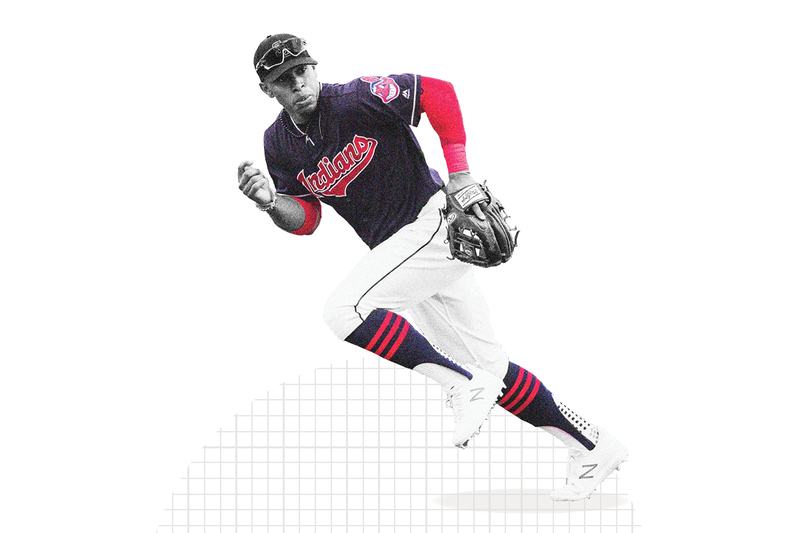 With a 79 percent chance of winning the Central, Cleveland is our model’s strongest division favorite for 2018. Sure, the Tribe lost a few recognizable names (Carlos Santana, Jay Bruce) over the winter, and this year’s roster is probably not as talented as the version that snapped off a 22-game winning streak last August and September. But they still boast ace starter Corey Kluber (whom FanGraphs projects to be the most valuable pitcher in baseball), ace fireman Andrew Miller (projected as the fourth-most valuable reliever in baseball) and a bevy of dangerous hitters (such as Edwin Encarnacion, Jose Ramirez and Francisco Lindor). There’s more than enough talent here for the Indians to comfortably claim another division crown. Team ¯\_(ツ)_/¯: Minnesota Twins. The range of predictions for the Twins is actually quite small: From Vegas to the computers, most forecasters basically call for Minnesota to win 82 or 83 games this year. But that’s a little difficult to reconcile with the team’s 85-win season a year ago and the flurry of improvements it made in the offseason — to say nothing of the ongoing strides expected from its core. It wouldn’t be surprising at all if the Twins end up beating that projection. Rebuild alert: Chicago White Sox, Detroit Tigers, Kansas City Royals. One of the big reasons that Cleveland is such a strong favorite in this division — and why the Twins can be optimistic, too — is that the Central is home to numerous, um, “rebuilding” efforts. The White Sox have been engaging in one of the most extreme multi-year teardowns ever and probably won’t begin to emerge from it until next season. The Tigers finally admitted to themselves that their early-2010s heyday was over and became sellers at last year’s trade deadline. The Royals are just now embarking on a reboot of their own. This division might be formidable in several years as a result of the tank-fest, but for now it contains a bunch of teams that aren’t even trying to compete. Player to watch: Jose Ramirez, Indians. Ramirez turned in a perfectly solid 2016 season manning third base for the AL champion Tribe, hitting .310 during the World Series. 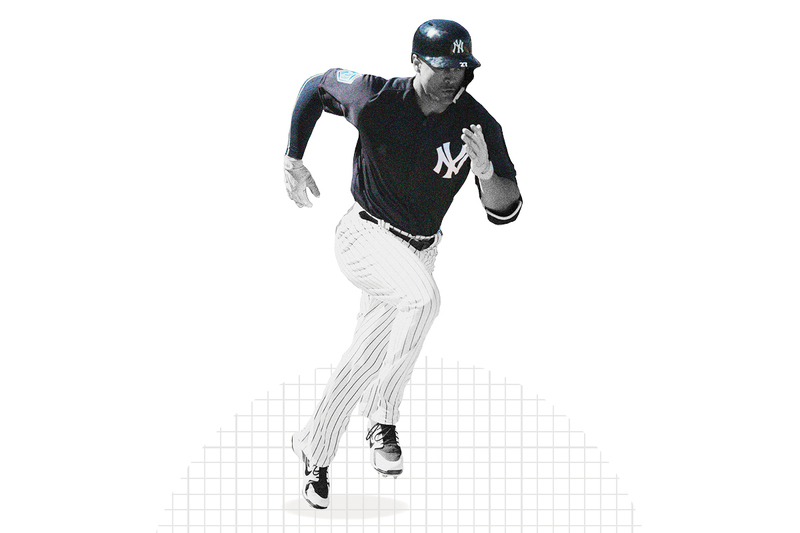 But he vaulted himself into another stratosphere last year — and squarely into the MVP conversation — with a .318/.374/.583 batting line and plus defense. Cleveland’s chances won’t hinge on him repeating those numbers, but in his age-25 season, it should be fun to see if Ramirez can keep up his ascent. Biggest enigma: Lucas Giolito, White Sox. As a rookie with Washington in 2016, Giolito struggled horribly, posting a 6.75 ERA in 21.1 innings with a shockingly poor 8.21 fielding-independent pitching (FIP). Then he was shipped to Chicago as part of the Adam Eaton deal — and, superficially, the change in scenery helped: Giolito bounced back in 2017 with a far healthier 2.38 ERA. Trouble is, he also benefited from allowing an unsustainably low .189 batting average on balls in play, masking a FIP that remained pretty unimpressive. The former first-round pick and top-five prospect still has plenty of potential, but nobody is really sure what kind of season to expect from him in 2018. Team to beat: Houston Astros. The defending world champs also enjoyed one of the better offseasons of any team when they hauled in starting pitcher Gerrit Cole from the Pirates in a January trade. Now Houston boasts a deep rotation with Cole, Justin Verlander and Dallas Keuchel (among others), plus it hung on to practically all of the cogs in an offensive machine that led the majors with 896 runs scored last season. While no favorite is unbeatable — the Astros finished third in the division as recently as 2016 — anyone other than Houston winning the West would be a stunning development. Team ¯\_(ツ)_/¯: Los Angeles Angels. The Angels have been stuck behind somebody in this division for most of Mike Trout’s stellar career, whether it be the Rangers and A’s early on or the Astros most recently. This season is supposed to be the start of something different, from the signing of Japanese two-way sensation Shohei Ohtani (more on him later) to other solid, under-the-radar pickups such as Ian Kinsler and Zack Cozart. Still, the forecast systems aren’t totally sure what to make of the Halos yet, penciling them in for win totals between the upper 70s and mid-80s. The best-case scenarios there probably won’t be enough to run down the Astros, but they might just be enough to snag the Angels a wild-card berth. Rebuild alert: Oakland A’s, Texas Rangers. Billion-Dollar Billy Beane and the Athletics have been rebuilding ever since going for broke (and coming up short) in the 2014 season. That probably won’t change this year, even though Oakland’s farm system is improving and showed some signs of life at the MLB level last season. Perhaps more interesting is the question of whether Texas will also commit to resetting things this season. If you squint, you can see the potential for a bounce-back Rangers season behind an overhauled pitching staff; easier to see, though, is the potential for another frustrating summer in Arlington. Player to watch: Mike Trout, Angels. I wanted to choose someone else here, I really did. But Trout is still the “player to watch” among any group of players you might ponder watching. Sadly, after last season’s campaign was limited by injury, he is no longer able to say he was the best player (by WAR) for any age at which he played a full season. (Ty Cobb finally got his revenge!) But Trout played so well when he was healthy that he may be primed for a comeback season for the ages. (Note: He was still the fifth-best player in baseball last season despite missing about 50 games.) 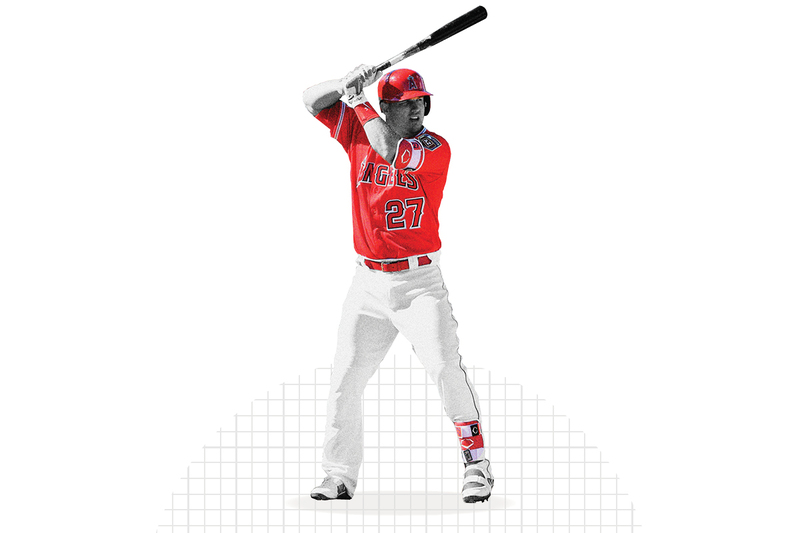 Keeping tabs on Trout and his statistical feats is a duty — and joy — that falls on the shoulders of every baseball fan. Biggest enigma: Shohei Ohtani, Angels. Ohtani came to the U.S. with immense expectations, and it would be unrealistic to expect him to deliver an instant payoff — particularly as the first legitimate hitter/pitcher in decades. All rookies need time to adjust, especially one who’s in a new country, facing a completely different style of opponent. That said, Ohtani has been unable to pitch or hit effectively this spring. His numbers have been so poor that analysts are wondering if he should make the team. Even that is a testament to his talent — who else’s spring stats are getting this much scrutiny? — but it also might make Ohtani the most uncertain player in the major leagues this season. Read our National League preview, and check out our latest MLB predictions.